So I decided to celebrate the official end of Summer with a nice and fresh octopus salad. We call it salad mainly because it’s a cold dish but in reality there’s no greens or tomatoes or any vegetables in this salad 🙂 But it’s really delicious. Back home we usually serve this dish as a starter or as a party dish and everyone just digs in. But if you serve it with boiled potatoes coated in butter and dill, then it becomes a really nice main course dish. 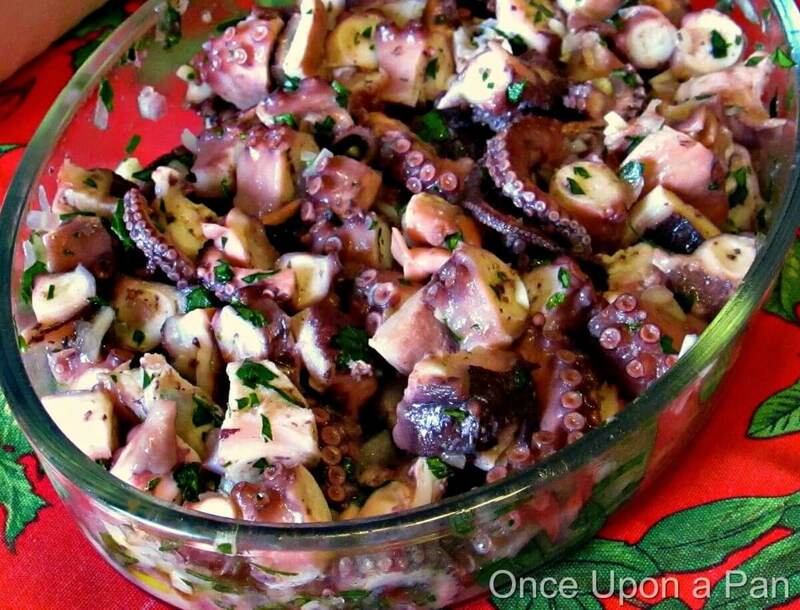 I find octopus salad to be a really easy dish to put together. Since I found a fool proof way of cooking octopus (check it out here) I don’t think twice about using it on a more frequent basis then before. I know that there’s lots of tips and tricks around on how to make octopus tender but I’m sticking to mine 🙂 Because you don’t need to babysit the cooking I find it very practical and I have time to do other things meanwhile! No need to add water, because the octopus will bake on its own water. Cut the octopus into small pieces. Drizzle everything with olive oil and vinegar. After all mixed up, if you want more sauce, add olive oil and vinegar to taste. Keep in the refrigerator until the salad it's cool.